​​HOUSTON - The market continues to feel the effects of the energy sector’s downturn, which has cast a shadow of uncertainty over the office leasing market creating sluggish demand and rising sublease availabilities on top of numerous new office buildings entering the market, according to PMRG Houston Office Market Report 3Q 2016​. 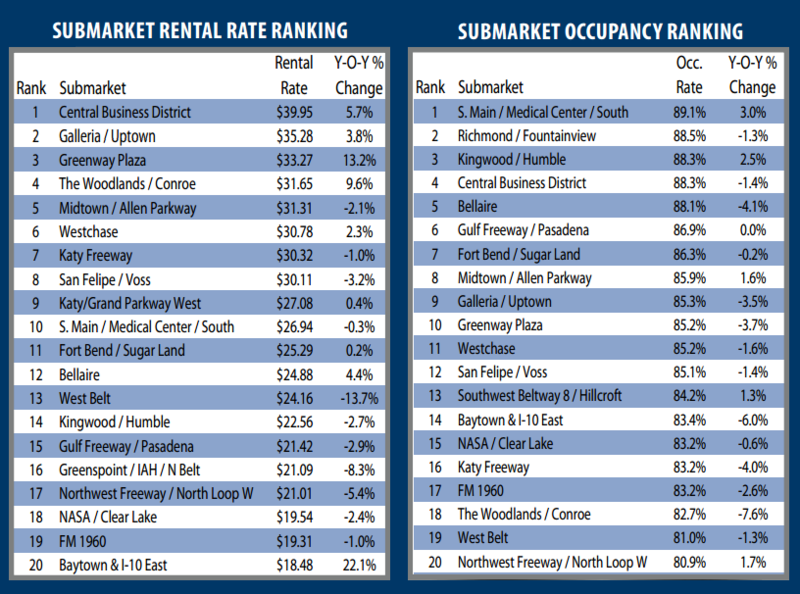 During 3Q 2016, Houston’s office leasing market fundamentals softened further as the citywide Class A direct occupancy level declined by 60 basis points to 83.4 percent, reaching its lowest level since 2005. Although prelease commitments in newly-built projects managed to keep Class A direct absorption levels slightly in positive territory, new supply has consistently outpaced demand in nine of the previous ten quarters. ​Overall leasing activity declined for the seventh consecutive quarter as energy firms’ office space decisions have been put on hold, dropping overall transaction volume to its lowest level since 2009. ​​See other sources at Houston Office Market Research on the Real Estate Center's webpage.